The massive size of California, much like Texas and Alaska, completely violates Thomas Jefferson’s intention that all states should be roughly equal in size. 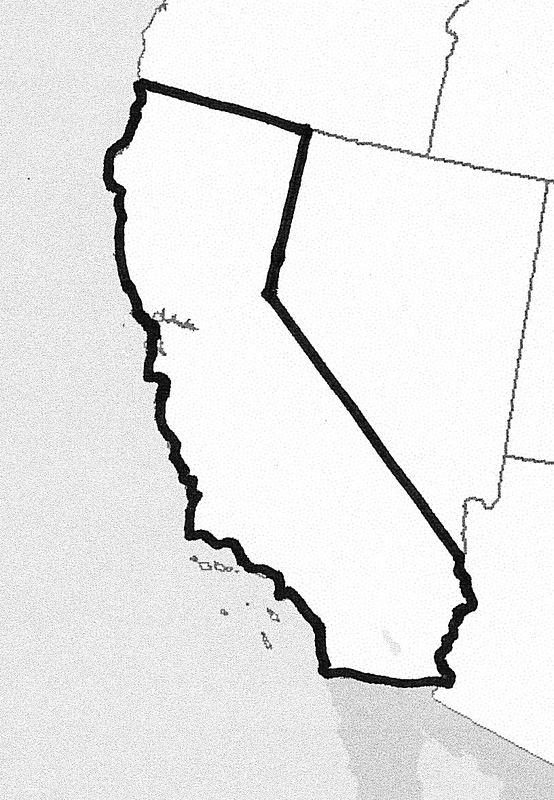 How did California avoid being broken up into three or four smaller states? The explanation is that at the time they petitioned to be admitted to the union, California held all the cards. America gained ownership of the territory at the end of the Mexican War in 1848 and our country, at that time, was still relying on water and the early railroad system for primary transportation. That meant that the territories in our western expansion were essentially ungovernable. Notably, right about the time California petitioned to be admitted to the union, GOLD was discovered in them thar hills. The discovery of gold meant a huge influx of population and a corresponding huge increase in the crime rate. Trying to govern the chaos was a headache, so Congress decided the territory needed to be organized quickly. With gold on their side, California could pretty much dictate how things were going to work out with their statehood endeavor. Congress knew that if they pushed too hard to divide the state or enforce borders that didn’t favor California, the California territory would just shrug and back out of becoming a state. California could survive as a sovereign nation, but having another country within our own borders could create a problem for our burgeoning nation. So California was allowed to stay as one really long state. And instead of using the crest of the mountain range to define the eastern boundary as had been done in Appalachian states, the border of California was drawn to fully encompass those gold bearing mountains. That eastern border followed the angle of the mountain range but was drawn so that all of the mountain region was defined as part of California. This entry was posted in Uncategorized and tagged California, California Gold Rush, Mexican War. Bookmark the permalink.